Designed by Xander Davis for the 48-hour Ludum Dare 18 competition, originally published on August 22, 2010 with nearly 4000 plays! 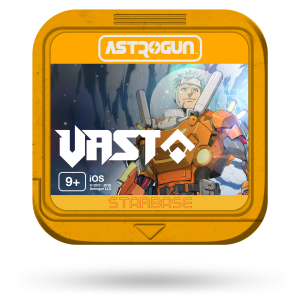 Now part of the Astrogun Universe, Bombcrash™ stars a younger Enzo from VAST™ working a job aboard a space station where the robots have gone amok, crashing and exploding into anything that approaches them. After everyone evacuates, Enzo bravely remains to hack these deadly robots at terminals, turning them against each other to save the station! 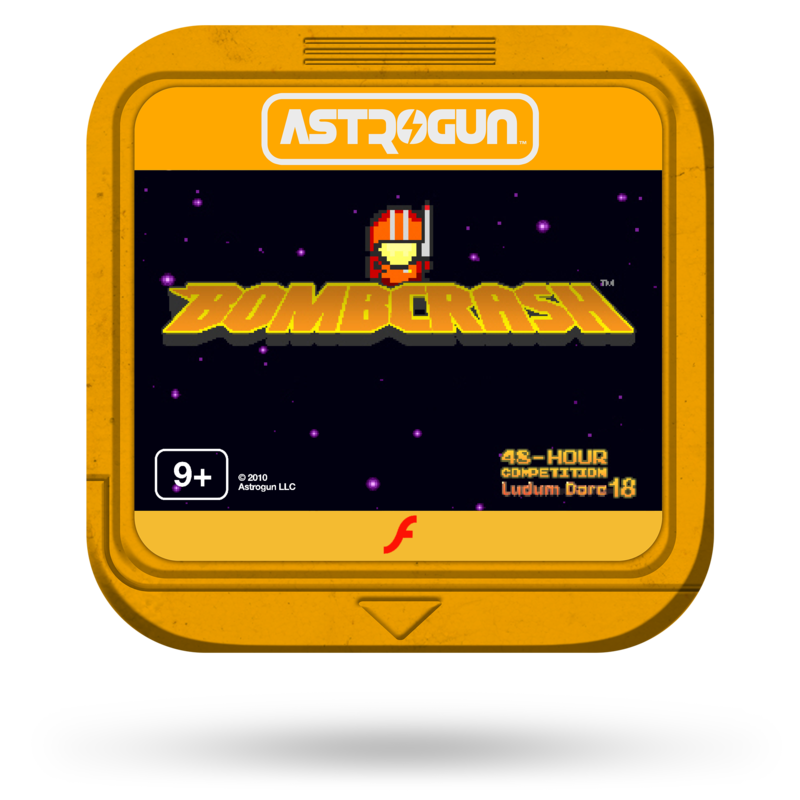 * Bombcrash™ is a digital-only app, depicted as a video game cartridge through a variation of its app icon.